Celebrities... They're just like us but with better hair. OK, so that's not exactly true. But when it comes to parenting, lots of famous moms and dads keep it real — and real funny. 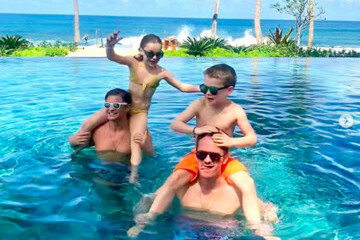 Thanks to social media, we get a little window into the lives of celebrity parents. It doesn't always resemble our reality, but when it does, we're grateful that someone with a larger megaphone is sharing what it's really like. We combed through Instagram for the funniest celebrity parenting moments, and we were not disappointed.